Some of my readers may have noticed that I recently added a button near the top of my blog (right hand column) entitled Art + Money (yes, it’s possible!) I was turned on to Chris Guillebeau’s The Art of Non-Conformity blog by a good friend earlier this fall. Chris, a self-employed writer, world traveler, and gentle soul, has kept me inspired through his frequent blog updates, travel stories, and focus on the importance of giving back to his (worldwide) community while doing what he loves to do most – write and travel. 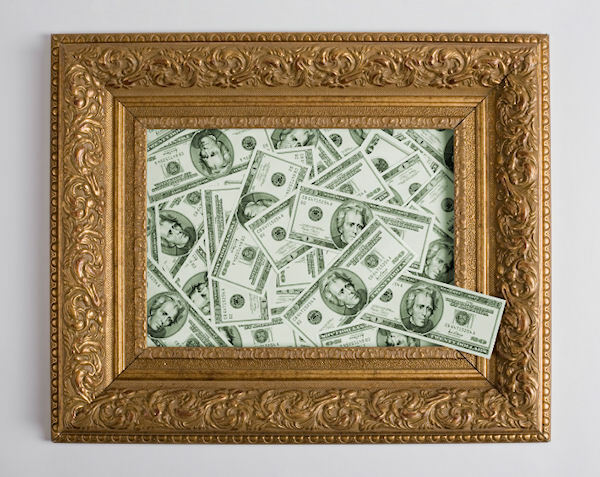 I not only subscribe to his blog for the frequent excellent free tips, wisdom, and inspiration, but I also decided not long ago to invest in Chris’ Unconventional Guide Art + Money. As an artist with a dream of being able to focus on and profit from doing what I love most (jewelry design), this guide contains exactly the kind of information I was seeking to take me to the next step. The guide is organized into a logical sequence of steps from identifying and tapping into your goals, to transmitting your message, to pricing, to successfully using Social Media to grow your audience, and ultimately expanding your artistic empire. A collection of successful artists working in various media weigh in throughout the guide and provide their own experience and insights. While this is not a “get-rich-quick” guide – each step requires active thought, participation and hard work on the reader’s part – it is invaluable for those people contemplating making a career from selling their art. If all of the above seems a bit overwhelming, the Art + Money link will always be here on my blog for you to explore at your leisure. In the meantime, for those of you needing a little encouragement in sticking to your well-intentioned goals, whether they be recent New Year’s or other goals, you’ll probably enjoy reading When You Are Feeling Stuck , one of Chris’ recent blog posts. Be well and keep doing what you love!